Former justice secretary Jack Straw wants the insurance industry to be overhauled to help reduce premiums. He’s calling for a ban on referral fees, which says have become “a huge racket.” Referral fees are paid by legal firms in exchange for details of customers who have been involved in accidents. 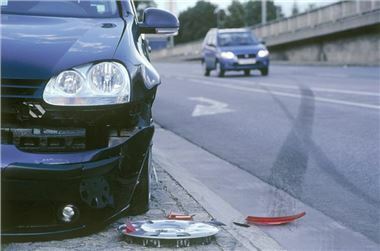 The firms buy information from insurers, recovery firms and garages. The increased number of claims being made is pushing up insurance costs thanks to more and more personal injury claims being made, costing insurance companies who then try to recoup some of the losses by upping premiums. In order for any new legislation to be effective referral fees must be banned outright – just banning insurance companies from selling information won’t stop legal firms buying it elsewhere. The Association of Bristish Insurers (ABI) is pleased that Jack Straw is backing a ban on referral fees. Director General Insurance and Health for the ABI, Nick Starling, said: "We are pleased that Jack Straw has joined our call for referral fees to be banned. Despite much improved safety and an overall reduction in the numnber of injuries and thefts in recent years, insurance costs have risen by 30% in the past year, and despite the increase insurance companies are making a loss overall.